The Dutch military has released this video of a close encounter between the Dutch KLu's F-16s and a Russian Air Force Tupolev Tu-95 'Bear' maritime reconnaissance aircraft/missile carrier. 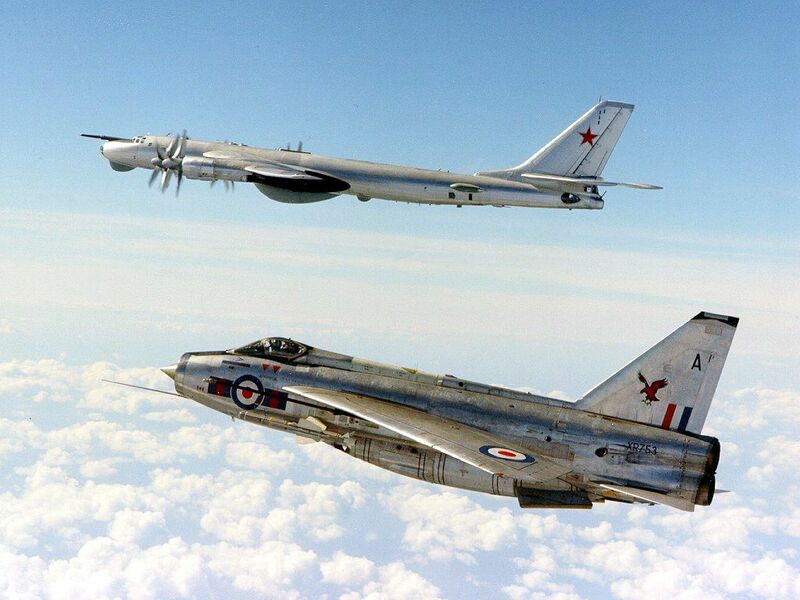 This marked the fourth time this year that Dutch fighters have been scrambled to intercept Russian bombers. The Dutch F-16s intercepted two Bears that entered Dutch airspace without identifying themselves on Aug. 17, after the Bears had been shadowed by Danish F-16s. After leaving Dutch airspace, Royal Air Force Eurofighter Typhoons took over. Back to the familiar scenes like this that we saw often during the Cold War, only with different interceptors, and we get JHMCS-recorded videos to gawk at these days as well.